Exmoor is one of England’s best kept secrets. Tucked away in a relatively isolated corner of the West Country, it is often overlooked by holidaymaker’s as they head down the south-west peninsula towards some of the region’s more high-profile holiday destinations. But those who discover Exmoor tend to return again and again to enjoy the National Park’s unique landscape, which although breathtakingly dramatic in many ways is generally softer and rounder than other moorland areas such as Dartmoor and Bodmin. Straddling parts of west Somerset and north Devon, Exmoor is actually a patchwork of different landscapes, encompassing wild uplands, thickly wooded combes (valleys), ancient farms, sheltered villages and a stretch of coastline – with its dizzying hog’s-back cliffs – that is unsurpassed. Exmoor’s special qualities were officially recognised in 1954 when it was given National Park status to help conserve the area’s natural beauty and wildlife. 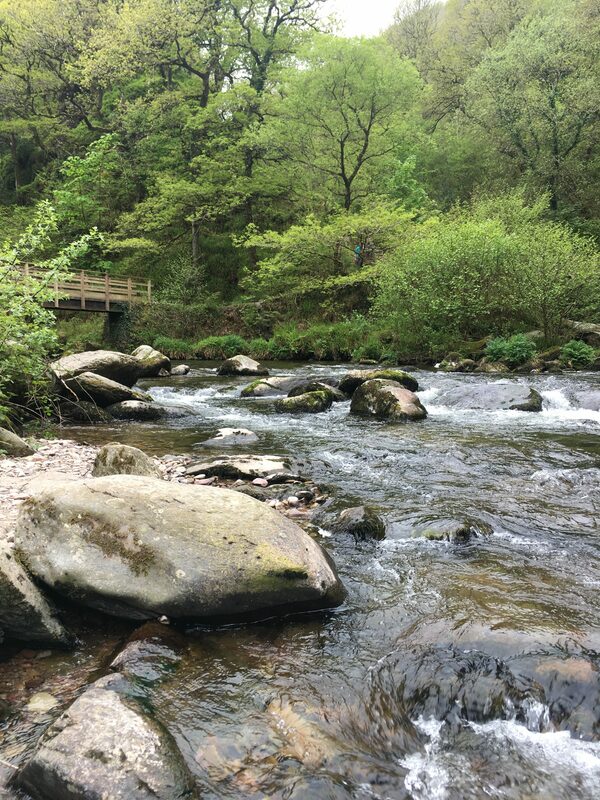 The National Park Authority, with its team of rangers, keeps a close eye on the environment to help ensure that the delicate balance of nature, tourism and agriculture is maintained – it is important to remember that Exmoor is a real working community, not just a pretty place. One of the rangers’ main responsibilities is the extensive network of footpaths and bridleways that criss-cross the National Park. 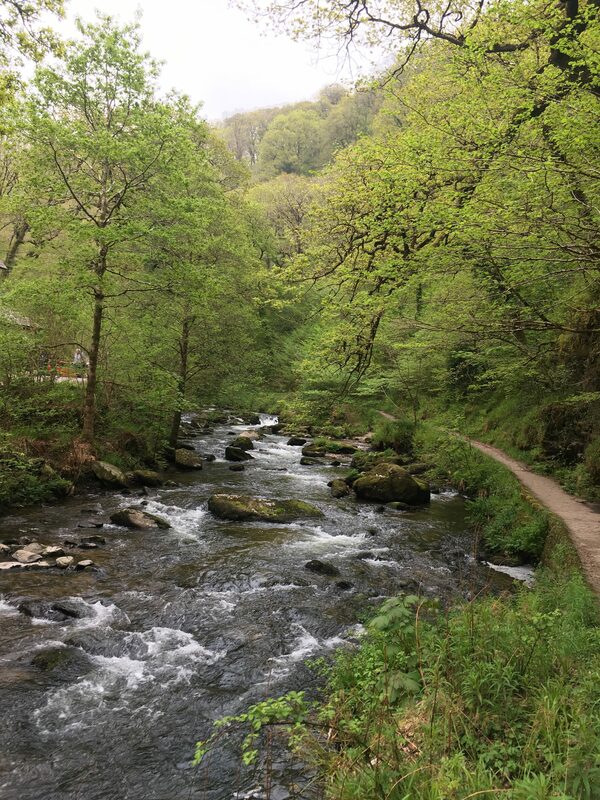 There are rights of way all over Exmoor: across tracts of open moorland, beside fast-flowing rivers, through ancient woodland and along the dramatic coastline. There is probably nowhere in Britain that offers such a variety of walking within such a compact area during every season. Click here for information about Exmoor through the seasons. Though one of the smallest national parks, Exmoor never feels too busy. Even in the height of summer it is possible to walk for hours amid glorious scenery without seeing a soul – a welcome change from some British beauty spots. There are one or two ‘honeypot’ places, such as Tarr Steps, the ancient ‘clapper’ bridge over the magical River Barle, and Dunster, the beautifully preserved medieval village, but generally you won’t find yourself in a crowd. Exmoor National Park has been designated an International Dark Sky Reserve, the first place in Europe to achieve this prestigious award and only the second in the world. In announcing the good news to Exmoor National Park, Rowena Davis from the International Dark-Sky Association said: “I am very happy to inform you that the IDA board has approved Exmoor as the world’s second International Dark Sky Reserve! Congratulations on all your work and outstanding outreach to teach Exmoor’s residents and visitors how to appreciate and conserve this outstanding resource.” As many tourism providers will be aware the National Park Authority and partners have been working on the application for over two years following the success of events held as part of the 2009 Year of Astronomy and the high level of interest received. It is hoped that the forthcoming Exmoor Tourism Partnership conference on the 23rd November will include a session related to the designation (further details to follow) and also to feature Exmoor’s dark skies in the 2011 Exmoor Awareness programme. In the meantime some tourism providers are already gearing up and all are encouraged to make the most of this designation alongside the other special qualities of the National Park. It is hoped that the award will be of great value to supporting tourism and could especially help convert day visitors to staying visitors in order to experience the night skies of Exmoor. Our many thanks to all those that supported the bid, and to those tourism providers that responded to our request for information earlier this year.